Cellini was named for a lesson that survived centuries: a moment of serendipity with an artist’s masterpiece that challenged the beliefs of a metallurgist. 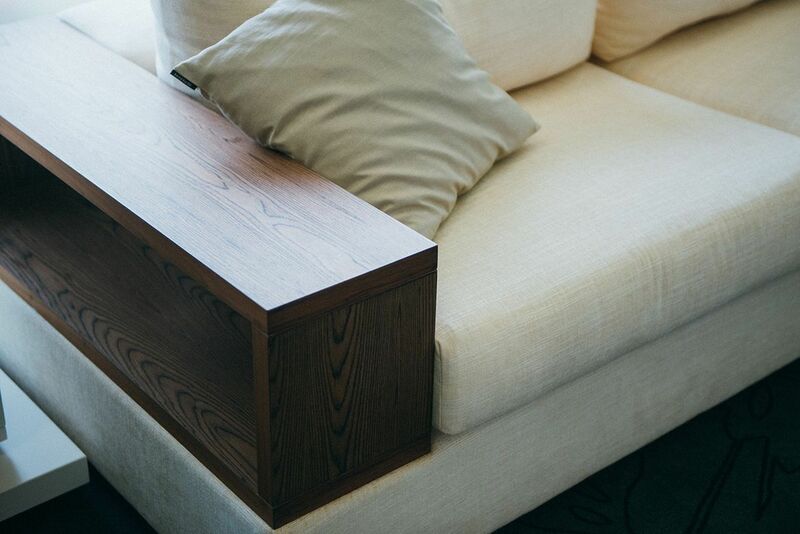 We had a chat with the Tan family about the evolving timelessness of innovative design thinking in the comfort of their home—a well-suited location furnished with almost three decades' worth of classic furniture creations. Marrying the practical precision of an engineer with the visionary romance of an artist may sound counter-intuitive, but metallurgist-turned-designer Tan Cheng Whatt proves it a winning formula through his design philosophy of both risk and sensibility. There is perhaps no better showroom than Tan's own family home. Pieces from previous and existing Cellini collections deck his spacious compound, and it is testament to their enduring timelessness that the furniture items are not easily distinguishable into their corresponding decade of production. With almost all of their furniture from Cellini, Tan's family home showcases almost three decades of past and present designs. One can draw parallels from Tan's timeless designs to his first and perhaps greatest inspiration―a sculpture by Benvenuto Cellini from Florence, Italy. During his studies in metallurgy in West Germany, Tan used his holidays to travel around Europe, visiting various furniture shops along the way. 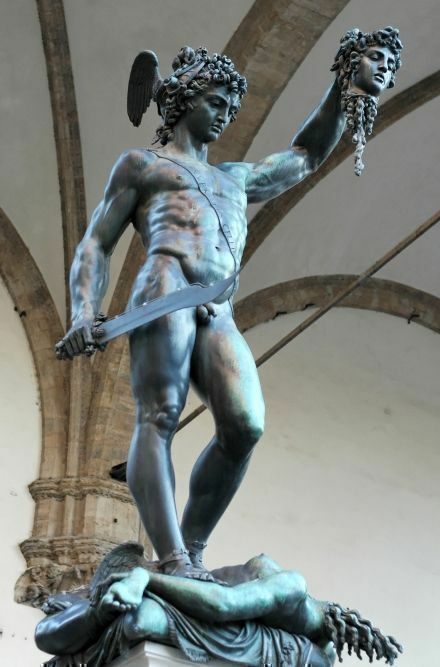 He chanced upon the bronze sculpture of Perseus with the Head of Medusa in Piazza della Signoria. The defining work of Italian artist Cellini was made by pouring molten bronze into a single sculptured cast―a process that very nearly failed due to its complexity and difficulty. Still, Cellini managed to bring its intricate magnificence to completion, surviving more than 460 years to stand in its original location till today. 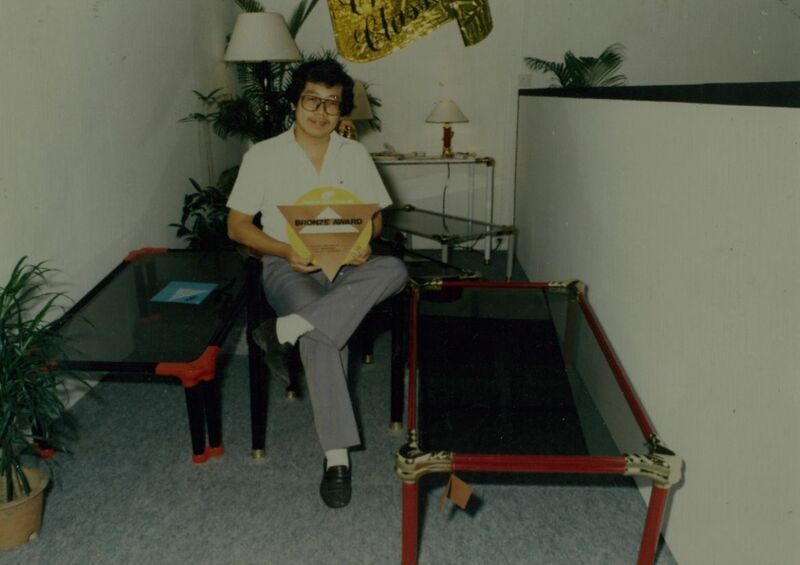 So close, in fact, that Tan chose to represent his very first series of brass-cast coffee tables under Cellini’s name at Singapore International Furniture Fair in 1985. The first-time exhibitor won a Bronze Award for his work, which would serve as the impetus for him to foray full force into product design. The brand of Cellini we know today was established in the following year. Like the Italian artist, Tan centres his designs on sand-casting, making it Cellini’s forte since its inception. It is a process far more demanding but rewarding—although it requires much more investment in terms of time and manpower, the flexibility allows for great creative space and individualisation. Take for example the classic Cellini sofa legs: these organic forms are each innately unique from the casting and hand-sanding, and their three-dimensional design is made to be a nightmare for any mass-production hopefuls. Tan’s artistic visions have brought him more awards, including a Silver for one of Cellini’s signature products, the AMP8. 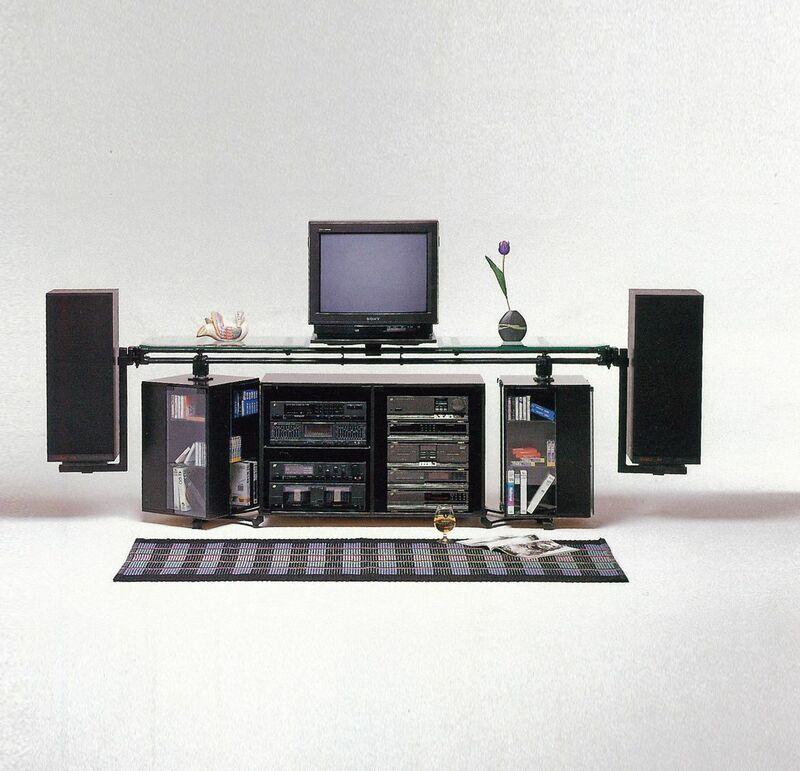 As the most complete integrated audio-visual cabinet system available locally in the '80s, the AMP8 included rotating four-sided cabinets for the purpose of storing compact discs, video tapes, as well as video tape recorders. Now one of Cellini’s patented products, it was also adapted to various versions to suit different markets and needs. These innovations may be lauded for pushing the boundaries of imagination, but their roots come from an enduring pragmatism in Tan―practicality and functionality will always be paramount. In his reverse-engineering style, creating new products start from choosing a persona and determining his or her needs. From there, solutions are conceived——solutions both classic and original, for Tan goes beyond to predict modern home-living needs and developments. 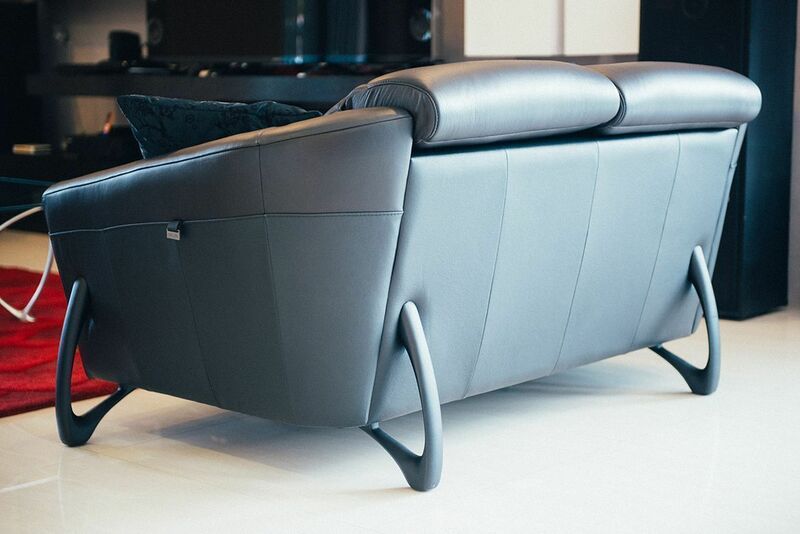 A case in point is the MASE sofa (pictured below) from Cellini's SIGNATURE series, which was launched in response to requests by long-time customers who missed their unique organic alloy-casted design style. It was what Tan started Cellini with in 1986; a style that remains distinctive to their brand even till today. Now, at the age of 68, Tan continues to be deeply involved designing furniture that Janice describes to "carry our own identity and less of mainstream trends." To remain relevant, their next challenge is to refine their design language to suit today’s buyers whilst holding fast to their principles of craftsmanship and originality, for a legacy that remains classically Cellini. Check out Cellini's designs here.